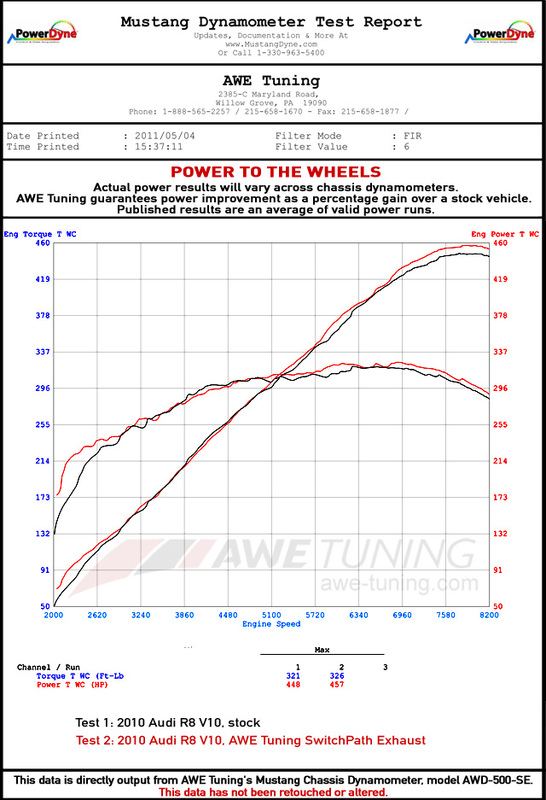 Dyno proven. Proprietary in-cabin valve control. Designed, developed and manufactured in-house. 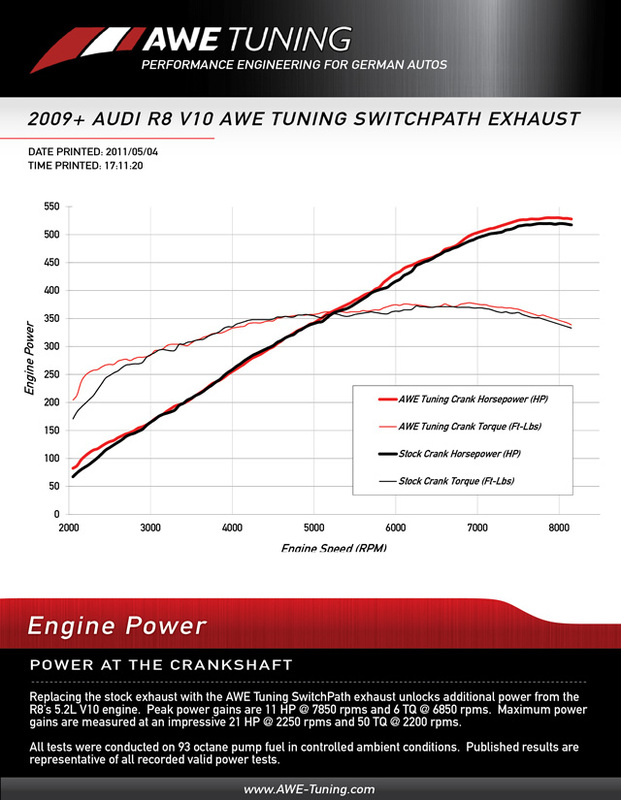 The AWE Tuning R8 V10 SwitchPath Exhaust delivers maximum power gains of +21 horsepower and +50 ft lbs of torque at the crank at a very usable 2200rpm. The exhaust produced peak power gains of +9 horsepower and +5 ft lbs of torque at the wheels. This translates to +11 horsepower and +6ft lbs at the crank. In addition to the power gains, the SwitchPath Exhaust also saves a noteworthy 32lbs from the rear of the car. Here for any questions you have. The AWE Tuning SwitchPath™ Exhaust for the TT RS. Supercar Sensation Autocross coming up on June 6th! Sign up now! Quick Reply: The AWE Tuning R8 V10 SwitchPath Exhaust. Refined Supercar Performance, coming soon.